Ann Marie Traylor worked as the head chemist at EQI for five years prior to reopening the lab in 2010. Ann Marie has a B.S. degree in Biology from the University of North Florida, Jacksonville Florida, and a M.S. degree in Wildlife Ecology and Conservation from the University of Florida, Gainesville, FL. She was a graduate assistant with the Florida Cooperative Research Unit at UF, and her research focused on vertebrate habitat usage of a large central Florida lake. Between degrees, she aqcuired two additional years of laboratory experience as a metals analyst for a commercial lab. 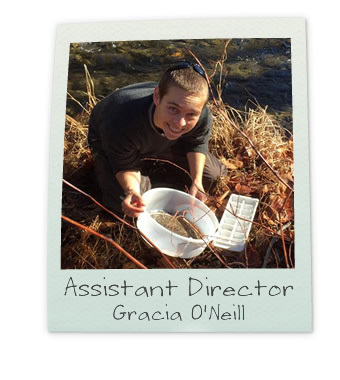 Gracia O'Neill has extensive experience in community and volunteer organizing. 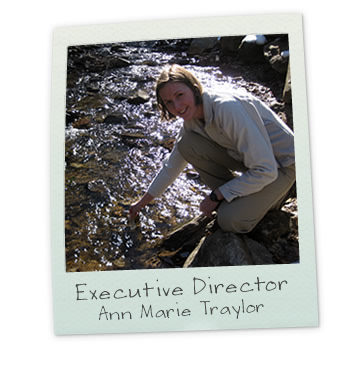 She has provided education, advocacy, and technical assistance to NC communities on a wide variety of water-related issues. She has coordinated the SMIE program since 2004, co-led all SMIE volunteer trainings, and has been a SMIE Group Leader since 2006. Gracia has a B.A. degree in Environmental Studies. 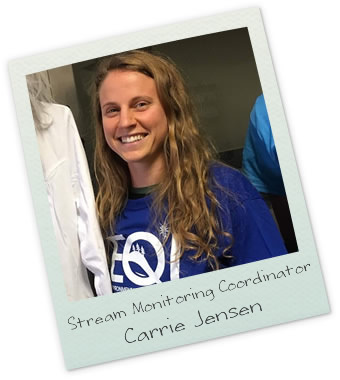 Carrie Jensen is EQI's AmeriCorps Project Conserve member for the 2018-19 term. She has a Ph.D. in Geospatial and Environmental Analysis with a focus on geography, water resources, and GIS. She has additional experience as a University Teaching Assistant and Appalachian raft guide. Local college students are recruited for internships and Federal Work Study positions, providing them with valuable work experience in the scientific field. Responsibilities typically include sample analysis and data management. We try to match the skills and interest of our students to the job assignments, for example lab analysis, GIS, or statistics. If interested in persuing an internship opportunity, please contact: eqi@eqilab.org.